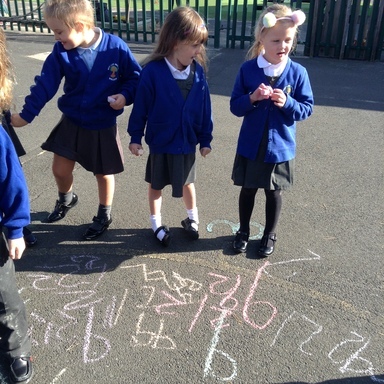 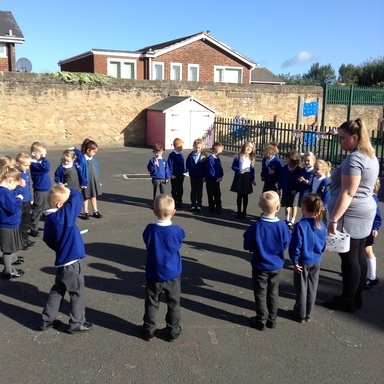 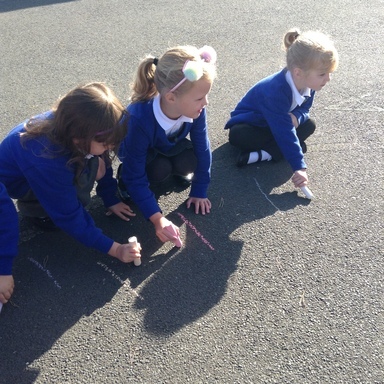 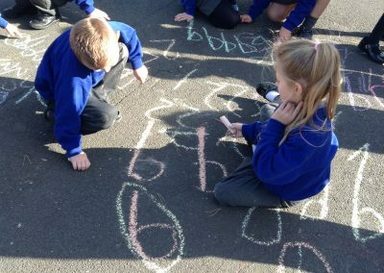 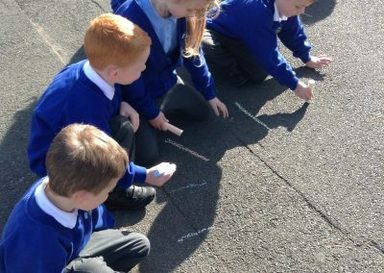 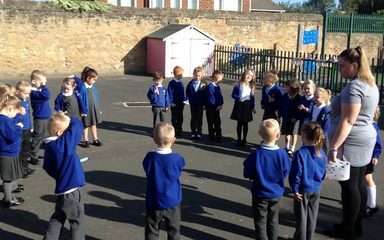 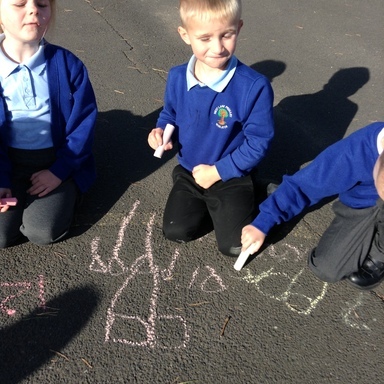 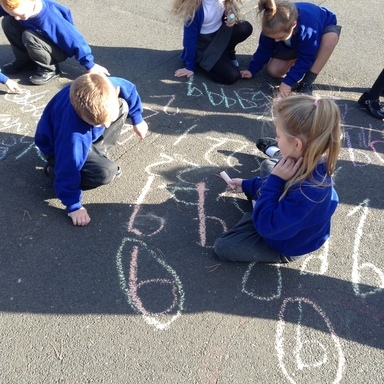 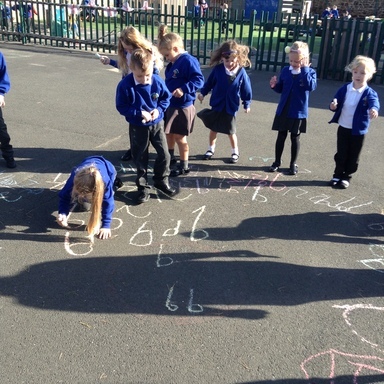 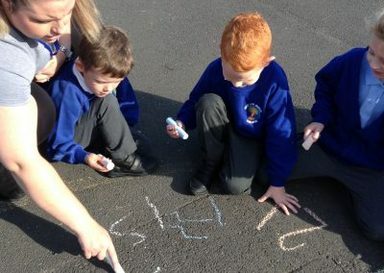 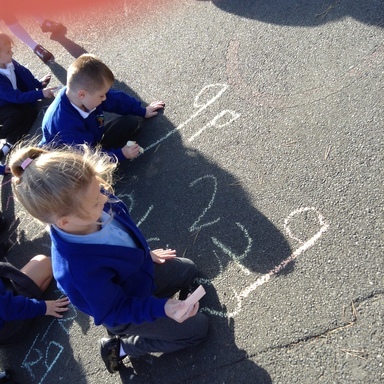 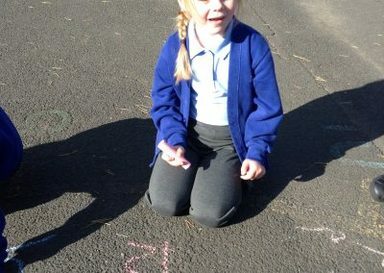 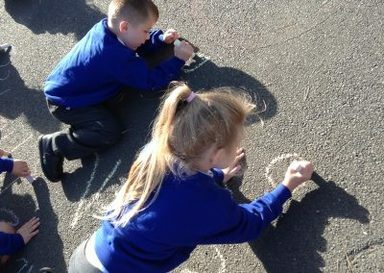 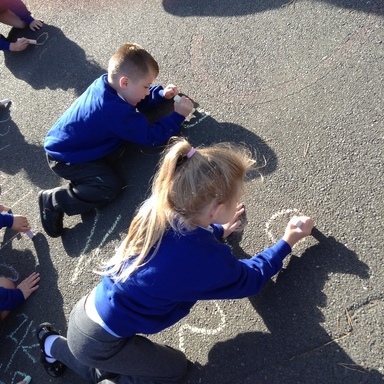 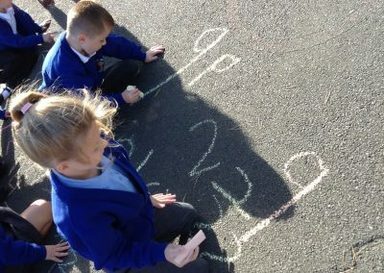 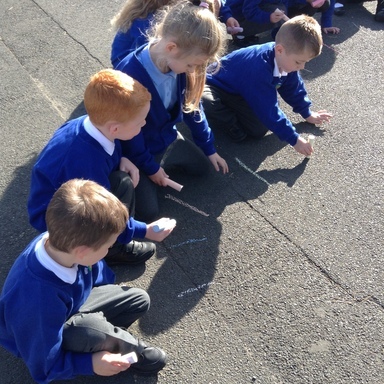 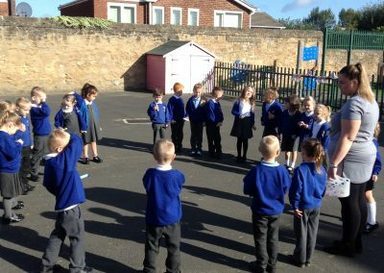 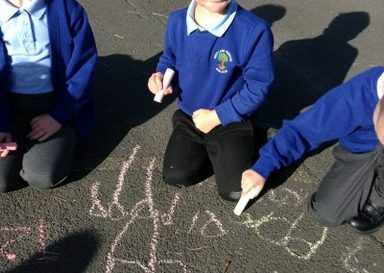 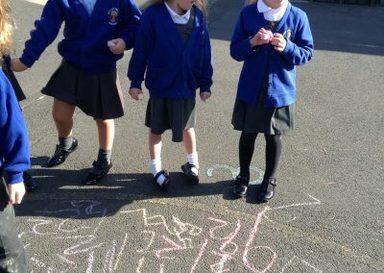 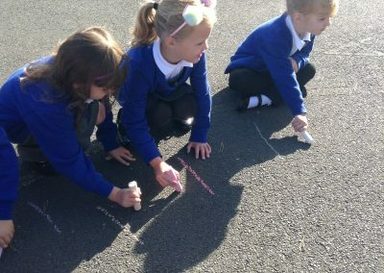 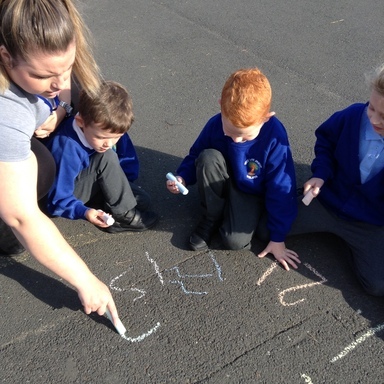 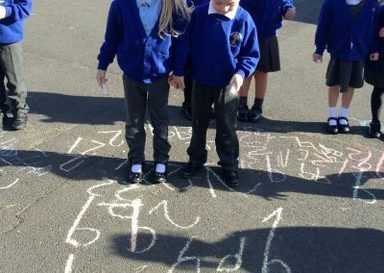 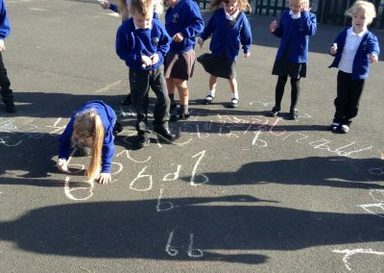 We took full advantage of the lovely weather and practised our number formation outside on the yard, to warm up our brains. 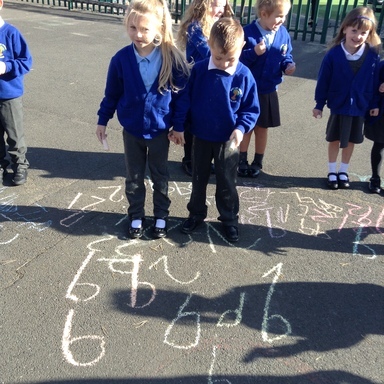 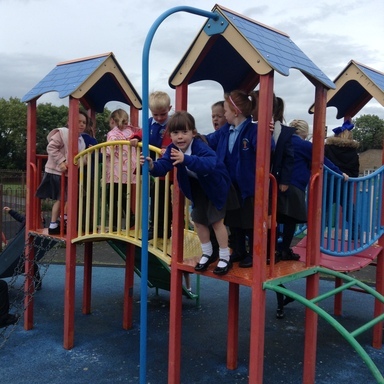 The children then self-assessed each other work by circling their best number and gave them a high five! 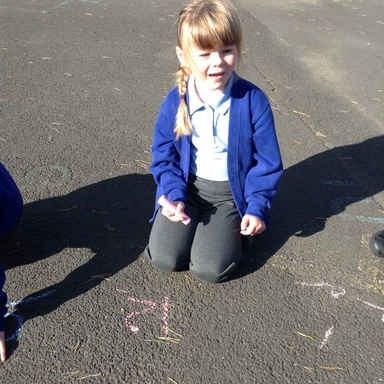 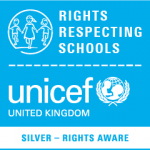 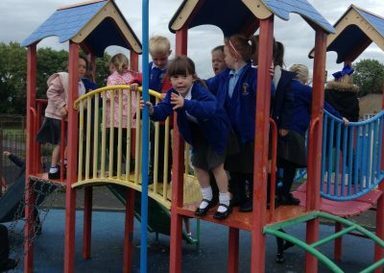 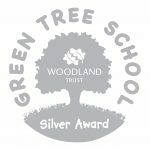 Well done Year 1 Holly, keep up the good work!